Salmon fishing is picking up on the bar rods. A few fish caught today but still having to put your time in. 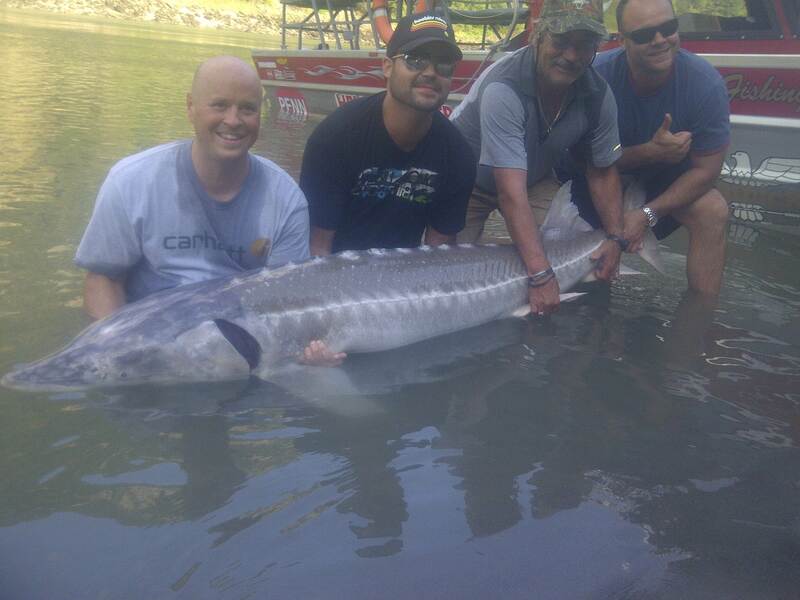 Sturgeon fishing has picked up the last few days with some very nice fish caught by our guides. This group landed a nice 7ft 1 yesterday right at the end of the day. Was just about to bring in our last rod for the day, the rod got buried in the rod holder, god I love that. I had to post another picture of this fish, it is so fat for it’s length, I think this picture shows it better. 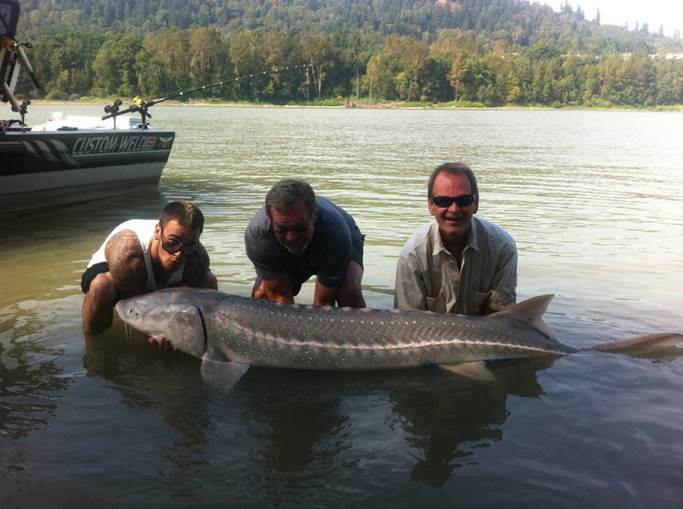 Sturgeon – You really got to work for your fish but there are some very nice sturgeon being caught. The weather is supposed to stay sunny and warm for a couple more weeks so looks like summer is going to be around a little longer. 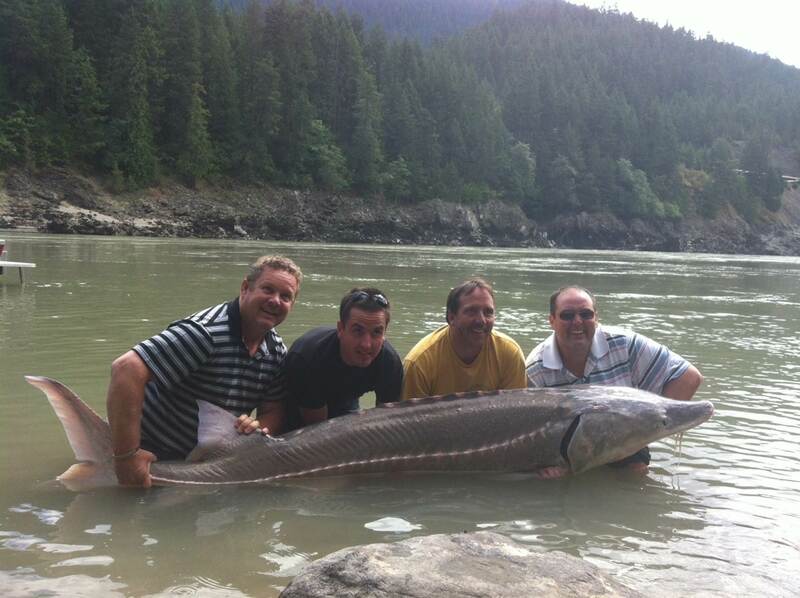 October and November are by far the best two months of sturgeon fishing on the Fraser. We still have some good dates available but we are booking trips daily and dates are filling up fairly fast. Saltwater fishing has been slow but we should really start to see some action for the fall run of Chinook, last year the 3rd week of September was on fire so hopefully this year it will be the same. The T-10 and sand heads should really start to produce some fish, if the whales would just go away I think the fishing would improve. A pod of Killer Whales have been working the area between T-10 and Ferry Terminal, they seem to be happy but scaring all of our fish away. Hopefully they move on to greener pastures. 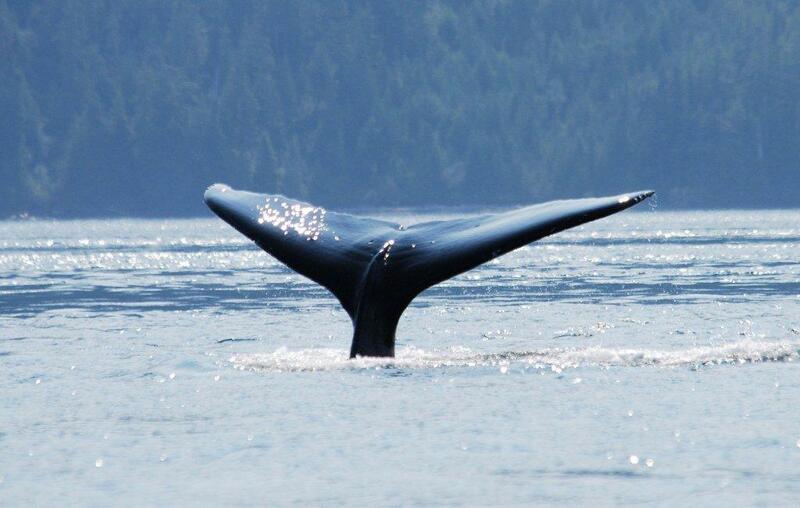 Here is a picture of a Hump Back Whale we saw while on holidays this summer. This picture was taken by my wife Teresa, great shot. Local rivers like the Vedder, Chehalis, Dewdney and Stave R will all start to see a few more fish over the next few weeks. We are currently going through a transitional period where we switch from summer sockeye/chinook to Fall Coho, Chinook ( White) and Chum. From early to mid September fishing for salmon is usually slow, by 3rd week we start to see some better numbers with improved catch rates. Harrison – took a trip this morning up to the confluence and heard of 1 Chinook caught. Saw a few fish jumping which were probably sockeye. Some Coho are starting to move into the Chehalis so we will start seeing some good catches in the Harrison and middle Fraser just below confluence. Peak fishing for this area is end of September through until middle of October. We still have some good dates available in October and November, give us a call to book your next guided adventure. You are currently reading Sept 8th Report at Hells Gate Jet Boat Tours Blog.